As they prepare to embark on their biggest U.S. tour to date, SLIPKNOT have announced a New Zealand show to kick-start their Australasian dates this October. 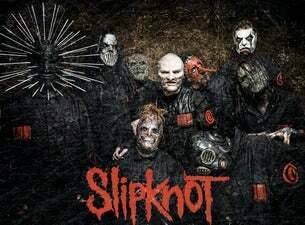 Slipknot will ignite Auckland’s Vector Arena on Wednesday October 26 with special guests Lamb of God. Tickets go on sale Monday, May 23 at 11am. Fan club members can access tickets first during an exclusive pre-sale beginning at midday this Tuesday, May 17. My Live Nation members can also be among the first to secure tickets during the pre-sale commencing midday Friday, May 20. For complete tour and ticketing details including VIP Packages, visit: livenation.co.nz. SLIPKNOT is decimating stages around the world in support of its Grammy nominated album, .5: The Gray Chapter. So far, it has produced five songs that have reached Billboard’s Mainstream Rock Songs Chart: ‘Killpop’, ‘The Devil In I’, ‘Custer’, ‘The Negative One’ and latest single ‘Goodbye’. .5: The Gray Chapter was released in October 2014. The album sold 132,000 copies in the US in its first week of release, debuting at #1 on The Billboard 200 chart. Slipknot stand out as one of history's most impactful and culturally significant hard rock entities. Since first landing in 1999, the group has garnered eleven platinum and 38 gold record certifications worldwide with 2008’s platinum-selling All Hope Is Gone debuting at #1 in seven countries, including the US and Australia. They've earned a Grammy for ‘Best Metal Performance’ as well as numerous accolades from Kerrang!, Rolling Stone, Revolver, NME, Metal Hammer, and more.